The pilot of CASSE’s highly successful Peaceful Schools Program has now concluded and is no longer operating. For further information about the program, please contact us. In contrast to many ‘anti-bullying’ programs, CASSE’s Peaceful Schools Program addressed the source of the problem, rather than just treating the symptoms. CASSE’s approach was based on psychoanalytic principles and understanding of how the mind functions and how individuals relate to each other. This approach seeks to understand and address the underlying causes of problem behaviours, such as unresolved trauma and distress, which can lead to conflict, bullying and violence. CASSE’s Peaceful Schools Program was developed in collaboration with, and built upon, the successful CAPSLE (Creating A Peaceful School Learning Environment) model developed in the US by Professor Stuart Twemlow and Dr Frank Sacco, in conjunction with Dr Peter Fonagy. 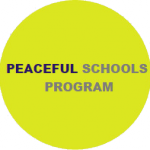 The efficacy of this approach was demonstrated during the implementation of the three year Peaceful Schools Pilot Program, which concluded in December 2014. The program was implemented in a diverse group of 12 schools, ranging from severely disadvantaged to affluent. Without exception, each school reported positive shifts to school culture. Reduced conflict, bullying and, in some instances, violence led to the creation of safer and more supportive environments. This, in turn, optimised the learning environment. CASSE individually tailored a framework to each of the pilot schools to maximize the safety, wellbeing and belonging of each member of the community, and provided support to consider and address issues which had previously felt insurmountable or difficult. CASSE’s Peaceful Schools Program had international connections with fellow Peaceful Schools in USA, Hungary and Jamaica, with CASSE presenting at the CAPSLE (Creating A Peaceful School Learning Environment) International Summit for Peaceful Schools in November 2012. Creating a peaceful school learning environment – a training manual for elementary schools.